Figure 1. Painting from 1615 showing the development of early golf. The game of golf today is globally popular and watched by millions on television. 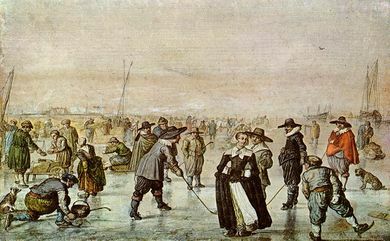 The origins of the sport may go back to ancient periods, but most historians trace the definitive beginning of the sport to Medieval Scotland and/or the Netherlands. However, it was in the 19th century that the sport emerged as both a modern one and started to become a global phenomenon. The origins of golf are not universally agreed upon and there are disputes on when exactly the ancestors of the game emerged. There are records of a Roman game called Paganica that comprised of a ball stuffed with feathers and hit with wooden sticks. While the game is very different from today's golf, the sort of Roman game may have inspired later Medieval memory and reemergence of a similar game that then led to golf. Other similar games may include the Chinese game of Chuiwan, which also involved a stick and players tried to sink a ball into holes. There were sets of up to 10 clubs, with balls made of wood and holes spread across an area, where the holes each had different degrees of difficulty. The depictions also suggest there was a tee or place to hit the ball toward a given hole. One possible modern origin is in Medieval Netherlands, where the term "golf" seems to have a Dutch origin. The game of kolven involved sticks or bats, perhaps similar to a shepherd's hook or stick, but the game may have not contained holes. The earliest records that depict golf come from Medieval paintings in the 15th century and the first book, called Tyrocinium linguae latinae, talks about daily life in the Netherlands where people played a game with sticks and at this points holes seem to have been utilized, where balls were hit into the holes. Figure 2. Key developments to golf in the 19th century were changes to the ball and clubs such as those created by Peter McEwan's shop and others. In Scotland, where many people believe the modern game of golf originated, records from the 15th century suggest a game of golf existed. Early records indicate the Scottish king tried to ban the game of golf, as it distracted his soldiers from other pursuits such as archery that were needed for military discipline. In fact, several bans seem to have been initiated as the sport was seen as something that made people less moral or it was "unprofitable." King James IV soon, however, began to enjoy the game of golf and with royal sponsorship the game began to spread in popularity in Scotland by the 15th and early 16th centuries. The first clear record of the use of balls and clubs are from 1503 that state that the king used a set of golf clubs and balls to play. Throughout the 16th century more accounts indicate the game was popular, where prohibitions include not playing golf on the Sabbath, although the game by now was more accepted by the establishment. In fact, female royalty such as Mary Queen of Scots are recorded as playing golf. In the 17th century, the oldest continuously used golf links came into existence (Figure 1). The Musselburgh Links are recorded to have been used for golf in 1672. It is even possible that golf was played here in the 16th century; however, those accounts are not substantiated by original sources. By the late 17th century, rules were developing for golf, including how to stand and swing a club. The oldest surviving golf rule book is the The Honourable Company of Edinburgh Golfers , written in 1744. The rules were in relation to the Leith Links, an area that forms the port in Edinburgh, which are seen as the oldest golf club where established rules have existed. These rules indicate that teeing off was a critical aspect of the game. The same ball must be used throughout playing a specific hole. Rules include what you should do if the ball is hit into the water, playing where the ball lies, and the person farthest from the hole should play first after teeing off. The use of handicaps had already developed in rules of play. Many of these rules were retained and became part of modern golf, indicating that the Leith links rules are the first established rules that led to the formation of modern golf. The 18th century saw the spread of golf clubs, including in Glasgow, St. Andrews, and Edinburgh. By 1787, in Blackheath, London, the first UK club was formed. In the 19th century, new developments in golf led to the ball becoming more modern in appearance. Feathers used to stuff early golf balls were now replaced with latex derived from a Gutta-percha tree. This had a major effect because the balls became cheap to make, helping the game to spread in popularity. Golf clubs were now also made from hickory, a wood that was seen as more sturdy and gave golf clubs more strength (Figure 2). These two developments made golf an easier game to play and increased the possibility to make it more widespread. Soon, however, irons began to appear as a form of club to hit balls with. The development of golf balls, with their surface also loosing a smooth texture to one with patterns, led to further developments with clubs that gave shape to how balls look today and the variety of golf clubs one finds, from woods to irons. A key change came with the beginning of the British Open, first called the Open Championship. It was first a 36-hole tournament that later extended to 72 holes, which is what it is today. In 1864, the first prize money for the tournament was awarded, which led to the development of professional golf players. The tournament began to rotate between St. Andrews and Musselburgh, two of the old golf clubs and grounds that were already popular in the 18th century. The game did begin to spread to other countries such as Canada during the late 18th and throughout the early 19th centuries. In the United States, while golf has its origins in the late 18th century, it remained largely unpopular for much of the 19th century. Only by the 1880s a Scottish immigrant by the name of John Reid established a dedicated golf course at Yonkers, New York. Soon English and Scottish immigrants spread the sport throughout much of the eastern United States. By the 1890s, the sport's popularity grew rapidly and the first official organization was established in 1894 as the Amateur Golf Association of the United States, which later was called the United States Golf Association (USGA). The US soon developed its own tournaments and the US Open and British Open became the two most prominent tournaments by 1900. Harry Vardon, an English player, was one of the sports first professional stars, dominating in tournaments in the UK and US. By 1916, the Professional Golfers' Association (PGA) developed the PGA tour. In the 1920s, the game began to have ever higher prizes for major tournaments, which contributed to its popularity for players and spectators. The era also saw the development of golf clubs, with new steel-shafted clubs being used by 1930. This helped to lower scores. Ben Hogan, an American, developed into a star by the 1940s, winning the Masters, U.S. Open and British Open all in the same year, which were now considered the most important tournaments on the PGA tour. By 1945, Byron Nelson was the first player to make $63,000 in a year from prize money. Today, the sport is known for its high prize money, with Tiger Woods dominating, until recently, in popularity and prize money. New icons such as Rory McIlroy have emerged. The celebrity status given to major golfers, high tournament payoffs, and television continue to contribute to the PGA tour's popularity, all the while the sport has spread to many countries and new tournaments established in exotic places. While the origins of golf are in dispute, and much national pride, particularly for Scotland, is at stake in relation to the origin of golf, what is without doubt is that golf has established itself as one of the great professional sports. Relative to other sports, rules that formed golf were established as early as the 18th century. Like other sports, the spread of popularity rapidly occurred in the 19th century when industrialization helped provide people with more leisure time and mass production lowered costs associated with golf's equipment. Although golf was a relatively late forming sport in the United States, often eclipsed by baseball and other sports the developed in the 19th century, the spread of the sport encouraged by British immigrants and professionalization for the sport helped it become of the major sports of interest in the United States. Similar to other sports, the advent of television has solidified the sports popularity and spread to many countries today. ↑ For more on the ancient origins of golf, see: Mallon, Bill, and Randon Matthew Newman Jerris. 2011. Historical Dictionary of Golf. Historical Dictionaries of Sports, no. 3. Lanham, Md: Scarecrow Press. ↑ For more on the origins of the sport in Netherlands, see: Gillmeister, Heiner. 2002. “Golf on the Rhine: On the Origins of Golf, with Sidelights on Polo.” The International Journal of the History of Sport 19 (1): 2–30. doi:10.1080/714001691. ↑ For more on early Scottish developments in golf, see: Hamilton, David. 2009. The Scottish Golf Guide: With Best Holes, Gazetteer, Golf Miscellany and Quotations. 3rd expanded ed. Edinburgh: Birlinn, pg. 221. ↑ For more on the Musselburgh Links, see: Hutchinson, Horace G. 2014. The Classic Guide to Golf. ↑ For a history on early golf clubs, rules, and development of the sport in the 17th and 18th centuries, see: McGrath, Charles, David McCormick, and John Garrity, eds. 2002. The Ultimate Golf Book. Boston: Houghton Mifflin Co.
↑ For more on the development of golf equipment, see: Arscott, David, and David Salariya. 2011. Golf: A Very Peculiar History : With No Added Bogeys. Brighton: Salariya Book Co.
↑ For more on the early tournaments, see: Fay, Michael J. 2004. Golf, As It Was In The Beginning: The Legendary British Open Courses. Rizzoli Intl Pubns. ↑ For an early history of golf in the US, see: Peper, George, Robin McMillan, and James A. Frank, eds. 1994. Golf in America: The First One Hundred Years. 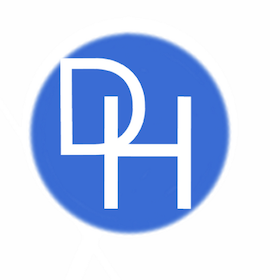 New York: Abradale Press/H.N. Abrams. ↑ For developments of the PGA tour, see: Barkow, Al. 1989. The History of the PGA Tour. 1st ed. New York: Doubleday. ↑ For a history of professional golf and women, see: Hudson, David L. 2008. Women in Golf: The Players, the History, and the Future of the Sport. Westport, Conn.: Praeger Publishers. ↑ For a history of major golf players and tournaments in the post-World War II era, see: Peper, George, Robin McMillan, and James A. Frank, eds. 1988. Golf in America: The First One Hundred Years. New York: H.N. Abrams, pg. 128.